Home » Ask the Driving School Instructor » Ask The Driving School Instructor: Why do people drive above the speed limit? Ask The Driving School Instructor: Why do people drive above the speed limit? Question: Why do people drive above the speed limit? Answer: There are several different reasons why people tend to drive above the speed limit but none of those reasons are valid. They’re operating under the belief that they will save time by speeding. Risk taking – When a person decides to risk a dangerous activity while driving, they usually have an over-inflated view of their driving skills and have forgotten that, the faster they’re driving, the less time they have to react to an emergency ahead. They’re also probably thinking nothing bad will happen. You never know when someone might pull out in front of you, stop suddenly, or decide to run a red light. In those instances, you need time to react in order to stop or swerve to avoid a crash. Speeding takes that time away from you. Getting there faster – Let’s look at a typical driving scenario and see how much time is saved. 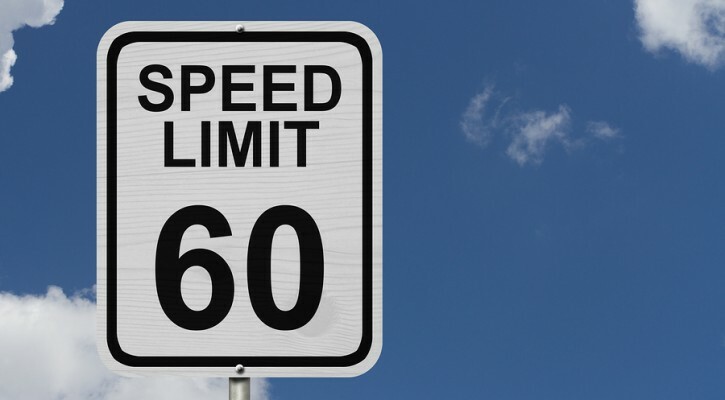 Let’s make it easy and say that you’re traveling over a ten mile distance on a road with a speed limit of 60 mph. The math here is pretty simple; at 60 mph or one mile per minute, it will take you ten minutes to travel ten miles. How much time will you save if you speed? In heavy traffic you’ll save even less time because you’ll have to constantly hit the brakes as you approach slower traffic ahead. Is it really worth the risk of being involved in a crash or getting a ticket to save such a small amount of time? Another “small” group of people who have been in my classes speed because they simply can’t stand the thought of other drivers being ahead or getting ahead of them on the road. When you think about it rationally, there’s always going to be someone ahead of you on the road. You can’t pass them all but these drivers will try. Which class were they attending? The class required for those people who have had their driver’s licenses suspended or revoked. Speed limits are set to allow drivers to drive at the highest “safe” speed under ideal conditions and going over that limit just isn’t worth the risk.